but then she's also the superhero Ms. Marvel. Did I mention she's an Avenger now too? Ms. Marvel is facing off against an evil entity that is using her likeness to turn people against her while they take over Jersey City. 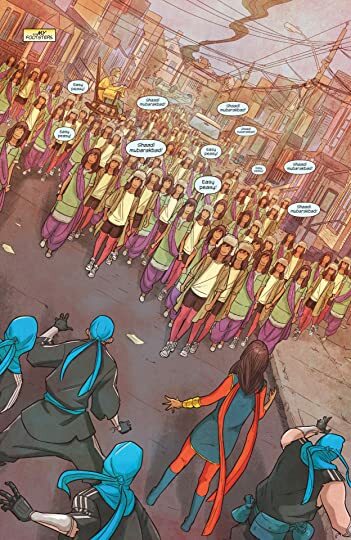 So Kamala and Bruno come up with a great plan to make clones of Kamala. I mean what could go wrong? 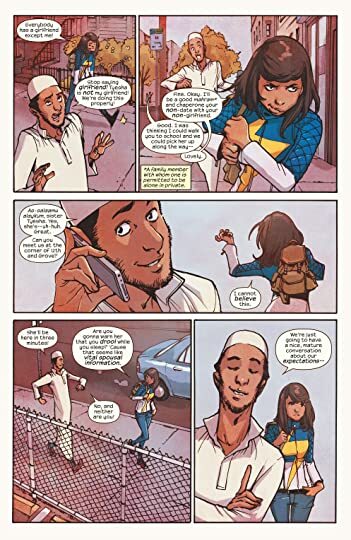 I like Ms. Marvel. I want to say that before anyone gets the wrong idea. My issue is I'm 1.) a guy, 2.) Over 30, and 3.) Not a Muslim. 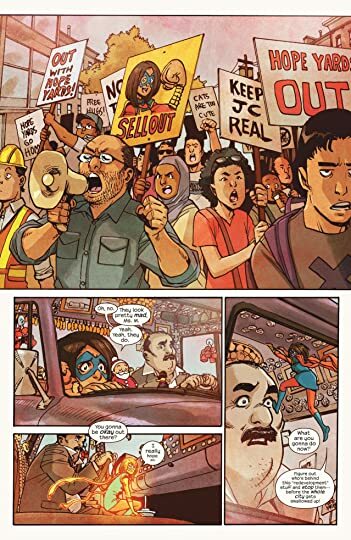 I say that because much of what makes Kamala special is lost on me because I don't relate. She's a fun character and her powers are interesting. She's massively powerful and even though she mostly just grows and shrinks, she can actually do far more. In Super Famous Kamala is just plain run down dog tired. School and family all day with superheroing all night will burn anyone out. Kamala is hanging in there, but it's not going that well. To top it all off Bruno has moved on and started dating just as Kamala was accepting his feelings for her. 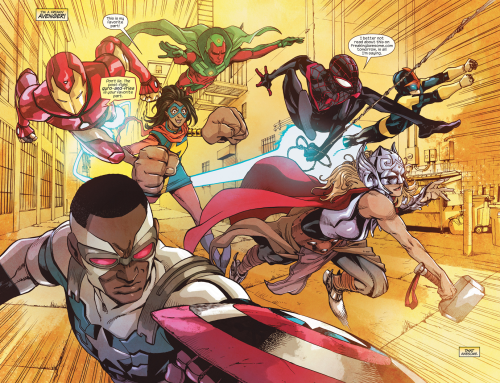 Sometimes it's no fun being a hero, but Kamala wouldn't trade it for anything.